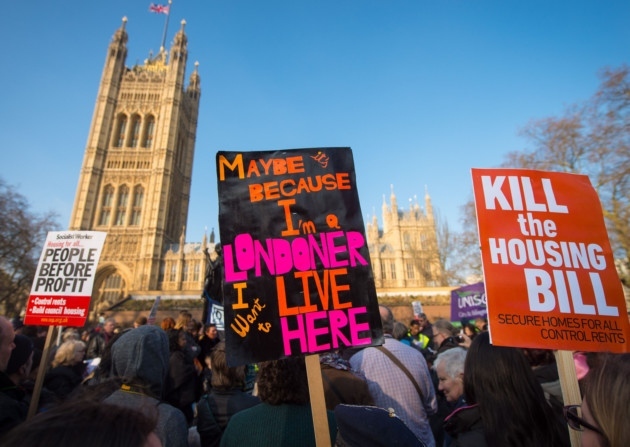 Hundreds of people have descended on Parliament Square to protest against a Bill which it is claimed could “smash social housing”. to huge cheers and applause. During a debate on the Bill in the House of Lords last week, peers said that forcing the sale of high-value council properties in order to subsidise the right to buy for housing association tenants is unfair.